Having worked in the wedding and private events industry for almost a decade before launching our beautiful wedding dress shop in Surrey, we are proud to know some of the best service providers and venues in Surrey and London. We are always willing to support our brides help to find their ideal suppliers and we have a little white book full to the brim of Surrey venues, photographers, caterers, cake makers, florists and entertainers. See below our list of preferred suppliers that are tried and tested by our team. Click on any of the images below to visit the supplier's website. you will be redirected to their website - we have no control over their content or services offered. happy shopping! Rolling vineyards, breathtaking views and quirky wine cellars, make Denbies one of the most picturesque venues in Surrey. One of the most sought after barn venues in the South of the Country. Exquisite both iniside and out with a wonderfully intimate feel. Enchanting facade and quaint gardens, Hartsfield is a fairytale wrapped in a chocolate box. Great service with bedrooms onsite. Warm, welcoming, inviting with beautiful grounds in the heart of Surrey. A true extra special home away from home. Imposing, vast and mesmerising, Wotton needs to be seen to be believed. Outdoor ceremonies permitted & stunning rooms inside. Stunning renovated building with feature beams and historical importance. Tasteful hotel rooms and fabulous bar area. Unique, quirky and in a perfect location between London and Surrey, this enchanting venue is ideal for the couple that don't want to conform. Stunning ceremony room, superb layout and a fantastic veranda overlooking exquisitely manicured gardens. Exquisite Victorian townhouse opposite Hyde Park. Small and intimate receptions f0r 10 people up to 200 seated & 300 standing. Exquisite Elizabethan architecture, breathtaking manicured gardens and accomodation for 44 of your nearest and dearest - perfection. A quintessential English style venue, restored to dramatic effect with it's very own hotel rooms and spa facilities. Two stunning parts to this rustic venue, including a beautiful and traditional barn as well as super alternative farm outbuilding! An absolutely exquisite barn in Surrey suitable for 150 guests seated or 200 standing. Choose from 6 caterers in this enchanting venue. Brand new venue spring 2019!!! This enchanting Regency era property has breathtaking grounds & a marquee for numbers exceeding 90. Professional, fun-loving and truly adores what she does. Amanda Duncan Photography offers a relaxing and intimate approach to your wedding. Vivacious, charming and one of those chicks who you want to be friends with! Effortlessly cool, Jessica specialises in natural photography. Relaxed, fresh and bubbly approach to photography; this babe is making waves in the industry with stunning compositions and light. Our only recommended videographer, Natasha is a true artist. If a picture speaks a thousand words, a video tells the whole novel. Husband and wife duo. Friendly, relaxed, romantic and fun. They capture the essence of your special day and make lasting memories. Sam Dorrington offers a fresh insight into photography with striking compositions and a graphically mesmerising finish. Award winning photographer with imaginative compositions and a romantic style. Loves epic landscapes and intimate close-ups. An extremely experienced, extremely outgoing, superb firecracker of a photographer. The best things come in small packages! Simon Pope offers a relaxed, highly experienced reportage style of wedding photography with sensational effect. Gorgeous vintage and rustic inspired props from furniture, both indoor and outdoor, to garden games and table decor. Beautiful variety of chair covers in the highest quality materials. Wide range of sashes in a plethora of colours. Venue stylists with a large range of products including chair covers, backdrops and draping. Visit their new showroom in Tadworth, Surrey. One of the best hair stylists in the South of England, Beckie is calm, cool, collected and is a true master of bridal hair. Fresh, contemporary and an absolute perfectionist, Aimee is bubbly, charming & specialises in modern bridal make-up. Tania is fun and energetic and brings air-brush make-up to the Surrey bridal market. For the A-list treatment on your wedding, call Tania. Fun, relaxed, experienced and creative, James will put any bride at ease during their wedding prep and make them look fabulous while doing it! Victoria lives and breathes fashion and make-up. At the forefront of bridal make-up and cosmetics, she is a true artist. Fun, fresh and an absolutely exquisite execution. Kimberley is bubbly, full of life, style and plenty of ideas. Exceptional value and quality. Friendly, no-hassle approach with a genuine passion for flowers and beauty. Highly recommended. Experienced and creative florist based in Surrey with forward thinking team and helpful service. Recommended at several venues. Passion for everlasting silk flowers. Trend setter, moon arches, ceremony backdrops and bouquets that last a lifetime. Whimsical, beautiful hand-painted cakes with romantic flavours and enchanting details. Third place award winners for cake design in Europe. Luxury sponges, impeccable finishes and always cooked to perfection. Jeannette and her team offer exquisite designs & flavours. Mouthwatering macarons, bespoke cookie favours, artisan doughnuts for all occasions in any style and colour. An exquisite mix of pop-art and whimsy comes to life in Nina's cakes. Playful and intricate designs, exceptional sponges. Wonderfully creative and an absolute sweetheart, what more could you ask for? Louise creates heavenly cakes, biscuits and macarons. A French patisserie baking just about anything with sugar. From bespoke marshmallows to cakes and dessert bars; loves rustic vibes. Unusual flavour combinations, soft and romantic execution. Melissa creates beautiful cakes, with a clean and expert finish. Awesome function band based in Kent but perform across the UK. Young, fun, lively, great singers and will get the party started! 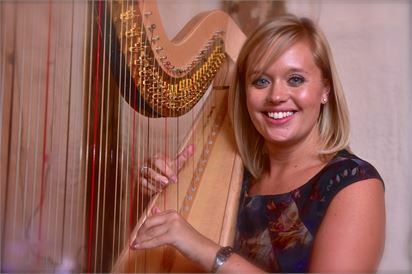 Exquisite musician based in Surrey & spreading beautiful music throughout the home counties. The ultimate addition to your ceremony. Industry leading & award winning DJ with reputation at London & Surrey's most renowned venues. Also have dancefloors & props. Professional, affordable, friendly and knowledgeable. Jonathan and his discreet team of professionals are the best in the business. Impeccably restored VW Campers and classic Beetles for wedding transportation. Campervan photobooth also available for evening party. Classic vintage cars with immaculate interiors and professional chauffeurs suited and booted in timeless attire. Stunning American Cadillacs available for transport you in 1950's style. The perfect choice for any couple looking to have a little fun! KR Creatives offers a full range of bespoke graphically designed wedding stationery from before, during and after your wedding. Bespoke hats, fascinators and headdresses, Jaded Violet is a local artist creating one-of-a-kind pieces for women that want to stand out. Bespoke handmade stationery designed just for you. A range of luxury materials and decoration to create your one of a kind stationery.